Leeds midfielder Eunan O'Kane will miss the remainder of the season after suffering a double leg break while playing on loan for Luton on Saturday. The Republic of Ireland international received several minutes of treatment following a challenge before being stretchered off in their 1-0 win against Bristol Rovers at Kenilworth Road. O'Kane, who had only just come on as a second-half substitute for his fourth appearance, will now undergo surgery on Sunday, with the 28-year-old due to return to Leeds' training ground for rehabilitation. 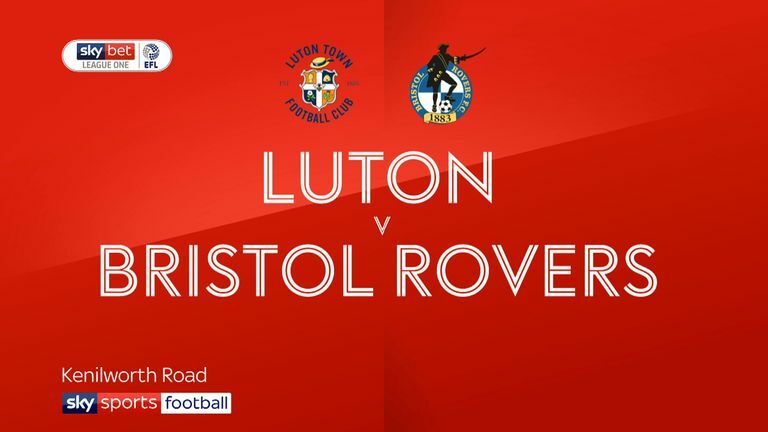 A club statement read: "Eunan O'Kane has suffered a fractured tibia and fibula playing for Luton Town in their win against Bristol Rovers yesterday. "The Republic of Ireland international was transferred to Luton and Dunstable Hospital where he will undergo surgery today. Everyone at Leeds United wishes Eunan all the best with his recovery and the midfielder will return to Thorp Arch for rehabilitation following his discharge from Hospital. "On behalf of all at the club we would like to thank the medical staff at Luton Town and the hospital for the excellent care provided to Eunan who will now miss the remainder of the season." Details soon emerged surrounding the injury, which resulted in 11 minutes of injury time being added to the match. "It's a suspected broken leg," Luton boss Nathan Jones said after the match. "We knew straight away that it was slightly more serious than the norm as the players, referee and the medics acted superbly. "But it's broken bone in his leg, I don't know which one, so our thoughts go out to him and we give him all the support as we possibly can as a club and hopefully he'll be back very quickly."